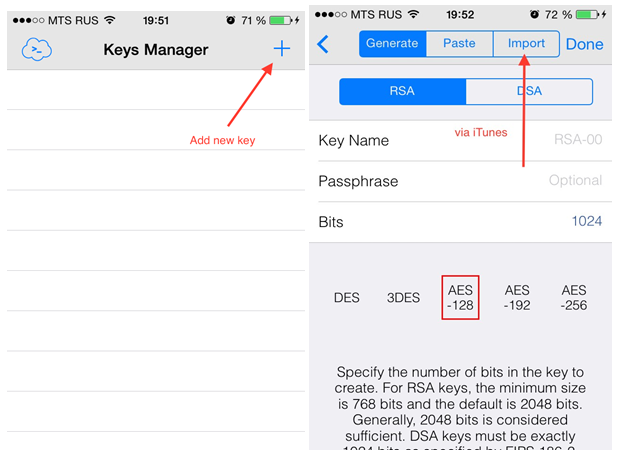 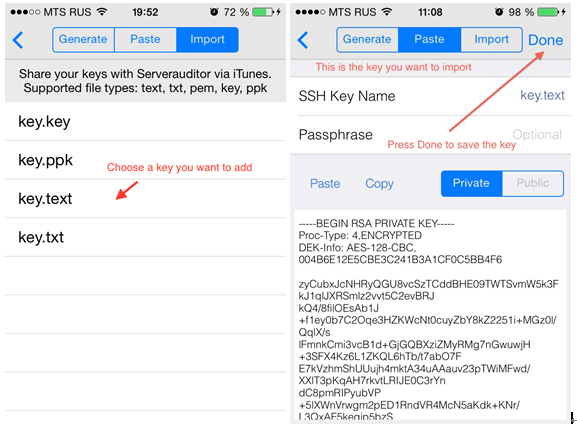 To use Key import feature via iTunes, you need your private key to be saved in a file with one of the following extensions: .key, .text, .txt, .ppk. 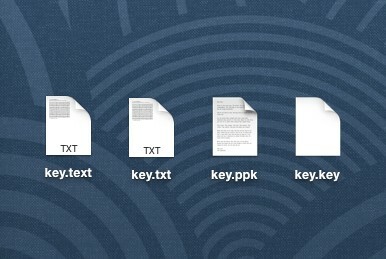 This is how your private key should look like (PuTTY keys are supported as well). 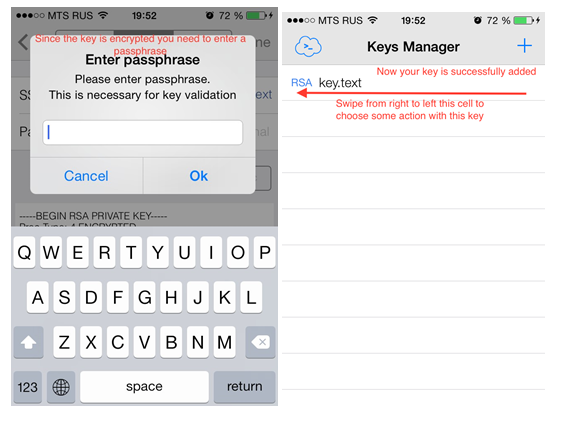 Our key is encrypted with passphrase “passphrase”.